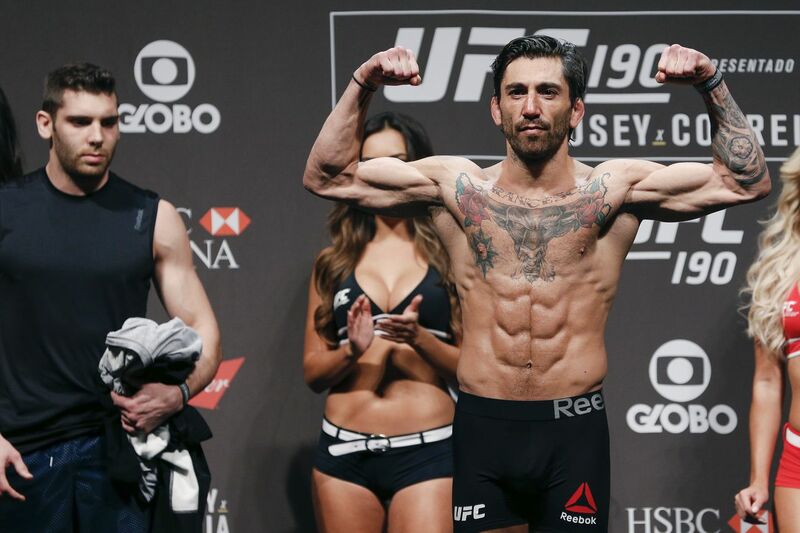 Guido Cannetti will be able to return to the Octagon by the end of the month. USADA, the UFC’s anti-doping policy partner, has given the Argentine a 10-month suspension after failing a drug test late last year. USADA announced the news on Friday. Cannetti’s suspension is retroactive to Oct. 28, allowing Cannetti to return to the Octagon after Aug. 28. Cannetti was pulled by USADA from his heated rematch with Marco Beltran at The Ultimate Fighter: Latin America 3 Finale, back in November. The provisional suspension came after testing positive for ostarine, hydrochlorothiazide and chlorothiazide in an out-of-competition test conducted on Oct. 5. “Ninja” Cannetti told MMA Fighting last year that he had not taken any prohibited substances and that he very upset by the news, as he had spent two months away from his family in Argentina while training at Team Alpha Male in California. With that in mind, USADA conducted tests on the supplements Cannetti was taking at the time of the sample collection, and concluded that the supplements were tainted. The 37-year-old Cannetti is 7-2 in his MMA career and is 1-1 since joining the UFC roster in 2014. Cannetti, who competes at 135-pounds, participated in the inaugural season of The Ultimate Fighter: Latin America series.